For this month’s giveaway I was originally going to offer you the same thing as always but instead of giving you the chance to win something pretty for your kitchen I’m going to change your life. I took this leaky gut quiz and it has provided a huge wake up call for me. 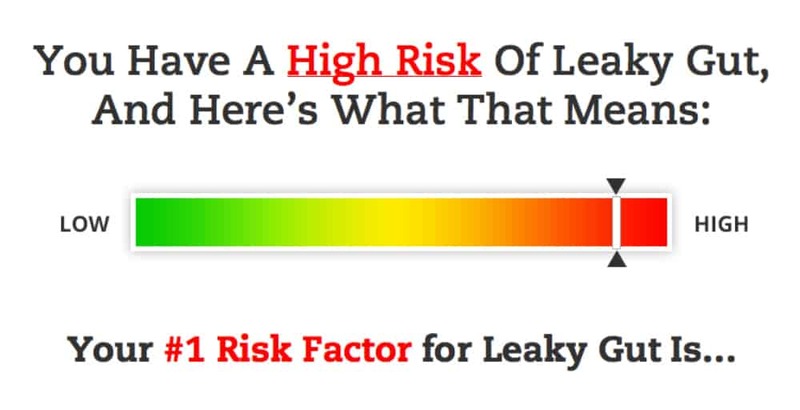 What would you do if you got “high risk of leaky gut” as your results? That picture above is actually my results!!! It’s not a random picture. I’m kinda freaking out over that. In fact, I’m going to be doing a stool test soon through my FDN. Holistic health gurus say leaky gut has to exist for an autoimmune condition to happen. Scary stuff. I really feel you should take the same quiz (it literally takes 3 minutes) and tell me your results. 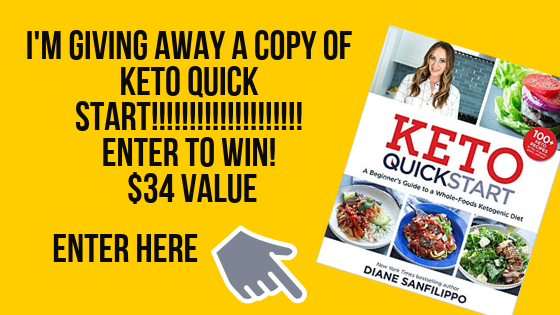 If the results of the quiz and the free video they send you isn’t enough I’m giving one lucky winner the Solving Leaky Gut course ($297 value ~ I paid for this giveaway myself). Jordan & Steve from SCD Lifestyle are friends of mine. Ok, if I’m going to be honest it’s more like I stalk them. I listen to their podcast religiously and I often turn to them for advice. When I first started having adrenal fatigue issues I turned to Steve and he really helped me out. Thanks Steve! When they first offered their leaky gut course about 6 months ago I bought it! Now they’re offering the the rolls-royce version that is AMAZING!!! You’re going to love it sooo much. Their new Solving Leaky Gut course has it all. It gives you a customized protocol for healing leaky gut, adrenal fatigue, gut infections & parasites! I already ordered their supplement protocol for adrenal fatigue. I’m doing much better implementing their tips then my previous protocol. These two see all of these problems in their consultation practice. When Steve asked me if I would like to see his course 2 months ago I was grinning up and down. I’m really really really thankful that I have this blog to pass the information onto you! To win the prize, Solving Leaky Gut Course ($297 value), you need to take the quiz, tell me your results in comment section of the Rafflecopter, and sign up for my newsletter. That’s it! *Don’t forget to check out my $252 bonus package for people who purchase the course through me. I’m giving away access to a private Facebook group, that includes 8 weeks of Q&A with health professionals and lots more! Bonus details here. p.s. be a really good friend by sharing the quiz with others.